As we age, facial skin loses elasticity and it droops continuously by gravity. Facial expressions wrinkle our skin, and wrinkles become deeper over time. Our face will change due to these wrinkles, and most people do not have any trouble to accept this age related change. Some, however, feel uncomfortable, especially if they feel younger than their appearance. 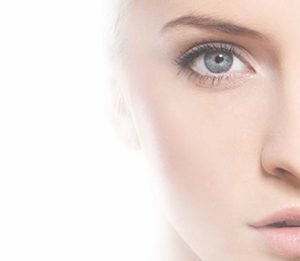 Eyelid cosmetic surgery of the lower and upper eyelids (blepharoplasty) gives a rejuvenated appearance since excess skin and fat are removed from the eye area, giving a rested and youthful effect. As you get older, it’s quite common to have excess skin above the upper eyelid. This is called dermatochalasis and it can overhang and block your vision. If it affects your vision, surgery may be considered to remove the excess skin (blepharoplasty). If the edge of your upper lid droops down, reducing eye opening, it’s called ptosis. Ptosis is usually age-related and develops slowly. Surgery may be needed if the edge of the lid droops so much your vision is affected. In rare cases, ptosis isn’t related to age and may be caused by other conditions. In this case, it’s likely there would be other symptoms too. Immediately seek medical advice if ptosis comes on rapidly, over days or weeks, or if it’s associated with other symptoms, such as headache or vision loss.